On July 8, 2002@ 2:50am firefighters were dispatched to a reported car accident around the intersection of River Road and Betz. Firemen arrived on the scene, quickly assessed the situation, and determined that the squad needed to be dispatched to the scene for extrication purposes. 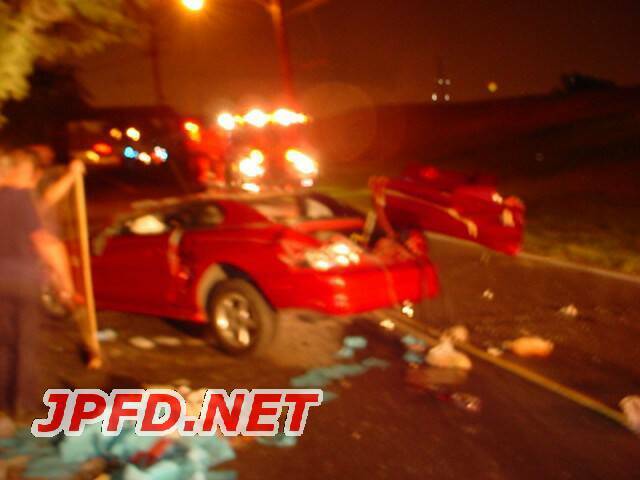 The driver and only occupant of the car was extricated from the vehicle through the trunk. On the record LSP was still investigating the accident at the time; however, off the record the driver was under the influence of something and was obviously traveling at a high rate of speed.